We will begin our tour at the Hotel Attalos since not only is it the closest hotel to Psiri but it also happens to be where I stay. 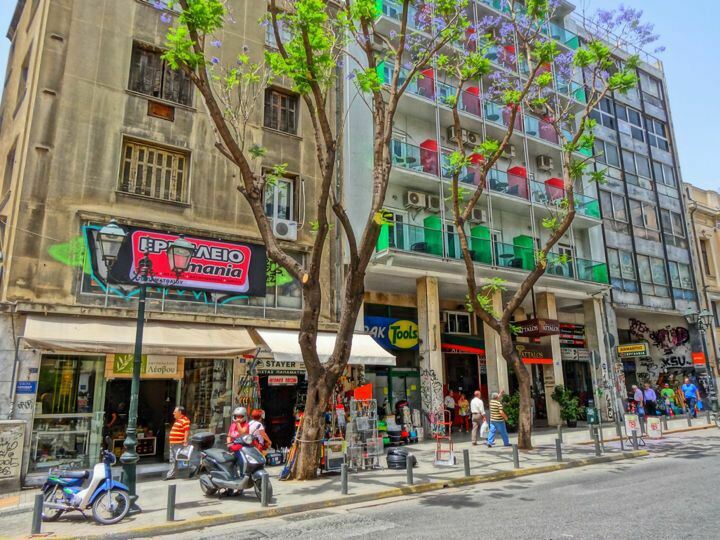 It is on Athinas Street which is a commercial street that connects Omonia and Monastiraki Squares. When you walk out the door you take a right and then your first right and you are in Psiri.